WASHINGTON, DC, June 21, 2011 (ENS) – Two former presidents who led the reduction of hunger and poverty in their countries were named the winners of the 2011 World Food Prize in a ceremony at the U.S. State Department today. On the occasion of its 25th anniversary, the World Food Prize Foundation is honoring John Agyekum Kufuor, former president of Ghana, and Luiz Inacio Lula da Silva, former president of Brazil, for creating and implementing government policies that relieved hunger and poverty of their people. “I am overjoyed that in this time of increasing food crisis around the world, I should be adjudged as deserving of this great award for the role I played in boosting agriculture in my country, Ghana, during my tenure as president,” said former president Kufuor. The World Food Prize was created in 1987 by Nobel Peace Prize Laureate and agronomist Dr. Norman Borlaug, to recognize individuals who have contributed to increasing the quality, quantity or availability of food in the world. Presidents Kufuor and Lula da Silva will be presented the $250,000 World Food Prize on October 13, as part of the 25th Anniversary World Food Prize celebrations in Des Moines, Iowa. “The battle to end hunger was Dr. Borlaug’s lifelong pursuit, and remains one of the great challenges of our day, requiring both a worldwide commitment to innovation and investment in agriculture, as well as country and local strategies,” said Secretary of Agriculture Tom Vilsack. “Presidents Kufuor and Lula da Silva have advanced food security for their people by pursuing innovative policies and programs, and their leadership and work stand as a model to all nations working to meet the moral imperative of feeding the world,” Vilsack said. 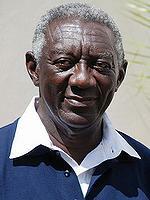 A guiding principle for President Kufuor during his two terms as president of Ghana, 2001-2009, was to improve food security and reduce poverty through public-sector and private-sector initiatives. During this time, Ghana became the first sub-Saharan African country to cut in half the proportion of its people who suffer from hunger, and the proportion of people living on less than a dollar per day, on course to meet UN Millenium Development Goal 1. 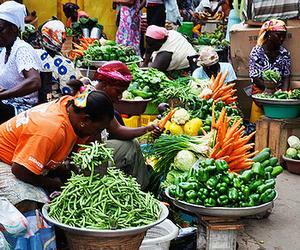 Ghana reduced its poverty rate from 51.7 percent in 1991 to 26.5 percent in 2008, and hunger was reduced from 34 percent in 1990 down to nine percent in 2004. As president, Kufor implemented major economic and educational policies that increased the quality and quantity of food to Ghanaians, enhanced farmers’ incomes, and improved school attendance and child nutrition through a nationwide feeding program. 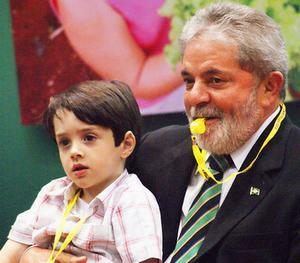 President Lula da Silva made it clear, even before he took office as president of Brazil in 2003, that fighting hunger and poverty would be a top priority of his government. More than 10 government ministries were focused on the expansive Zero Hunger programs, which provided greater access to food, strengthened family farms and rural incomes, increased enrollment of primary school children, and empowered the poor. Zero Hunger became one of the most successful food and nutritional security policies in the world through its programs such as the Bolsa Familia Program, the Food Purchase Program, and the School Feeding Program. 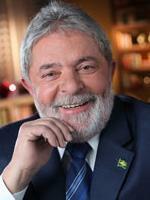 Over the eight years of President Lula’s administration, the UN Millennium Development Goal 1 was exceeded as Brazil reduced by half its proportion of hungry people, with 93 percent of children and 82 percent of adults eating three meals a day, and also reduced the percentage of Brazilians living in extreme poverty from 12 percent in 2003 down to 4.8 percent in 2009.